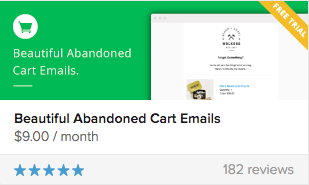 Recover lost sales with beautiful abandoned cart emails for your Shopify store. Automatically send customized abandoned cart emails. 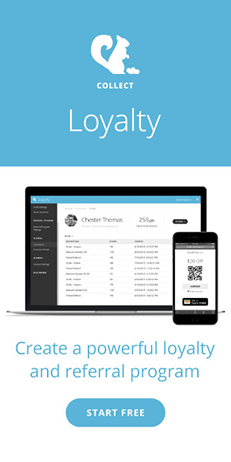 It’s fully customizable, add your branding, customize your email text and subject line, and choose when to send. Your product images are automatically added to entice your customers back to their shopping carts. Want to give it a try? 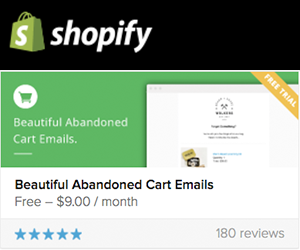 Beautiful Abandoned Cart Emails for Shopify on the Shopify App store. When customers login across multiple devices they will find their shopping cart waiting for them, ready to complete their order, which decreases your store's abandoned carts - Perfect for the holiday shopping season! Want to give it a try? 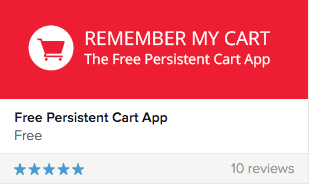 Get Remember My Cart for Free on the Shopify App store.